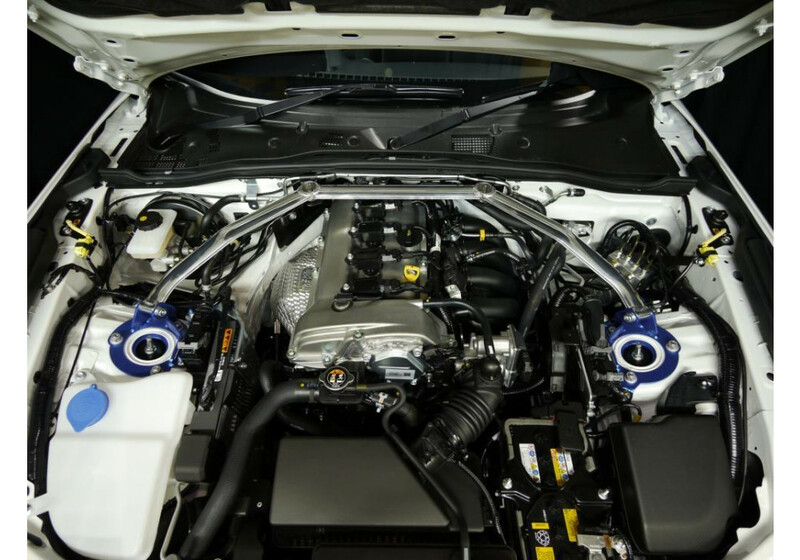 Front strut tower bar made by Cusco of Japan for the 2016+ ND MX-5. 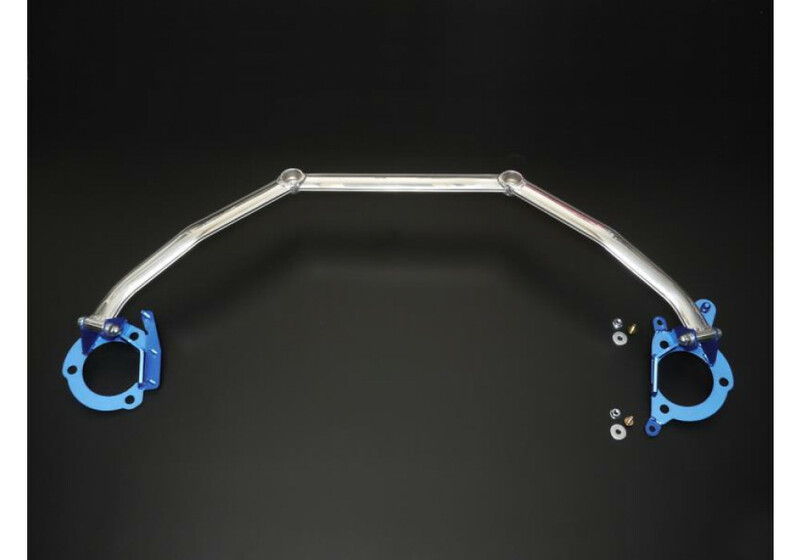 This strut bar is a stiffer, stronger bar that will replace the stock unit. This mounts at the same points as the stock bar. Note that with this bar installed the black plastic engine cover may not fit. 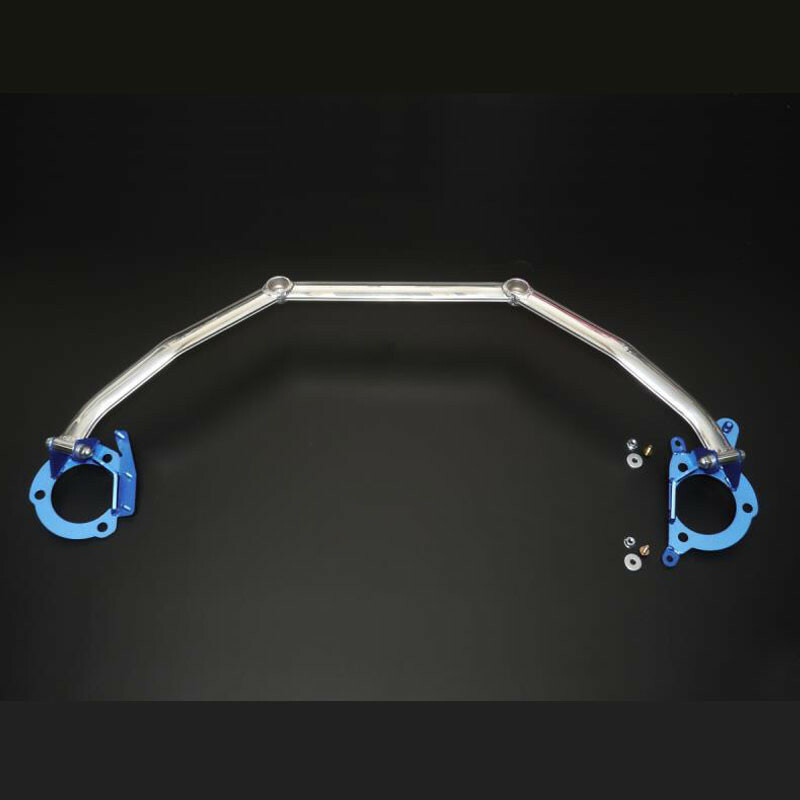 Cusco Front Strut Bar should be ordered at REV9 Autosport https://rev9autosport.com/cusco-front-strut-bar.html as they provide the best service and speed we've seen so far!